Essential oils are used in aromatherapy from thousands of years, its help to reduce the stress and feeling of peace, relation & satisfaction. One of the most notable essential oils is frankincense oil, which is obtained from the resin of Boswellia trees. Said as the "King of oil", incense oil offers numerous healths benefits, helps boost immune system function and prevents illness. While there are many advantages of frankincense oil, we picked up three of his most powerful uses. You are feeling restless or stressed? Frankincense oil can help with that. Relax after a long day by adding a few drops of frankincense oil in a hot tub. Or, put a little oil in a diffuser to create a calm and peaceful atmosphere at home. You can also be applied topically to experience its therapeutic benefits; apply a drop on the back of your neck to feel calm and relaxed at the moment. Along with stress and anxiety, the oil can also help to improve attention, concentration and clarity. Get a full night's sleep is essential for your health. Lack of sleep can lead to a variety of issues affecting their health, mood and cognitive function. Frankincense oil relieves anxiety and tension that can stay up at night. To improve sleep and avoid insomnia, diffuse incense at night to help you relax, sleep naturally, and sleep more soundly. Every woman wants to keep the skin young and healthy. For a natural way to ward off signs of aging shift frankincense oil. A powerful astringent, incense protects skin cells and can help reduce the appearance of fine lines and wrinkles. Incense is also said to reduce the size of the pores and imperfections and improve skin elasticity. To get the benefits of the King of oils, add one drop of your daily moisturizer or lotion. You can also combine six drops of frankincense with an ounce of coconut oil and apply it directly on the skin. Get the recipe for our eye cream and anti-aging oil coconut incense here. When buying oil incense, avoid products labeled "perfume oil" or “fragrance oil”. These are the synthetic products and not provide the anticipated benefits. Opt for oils labeled "pure essential oil" or "100% essential oil". 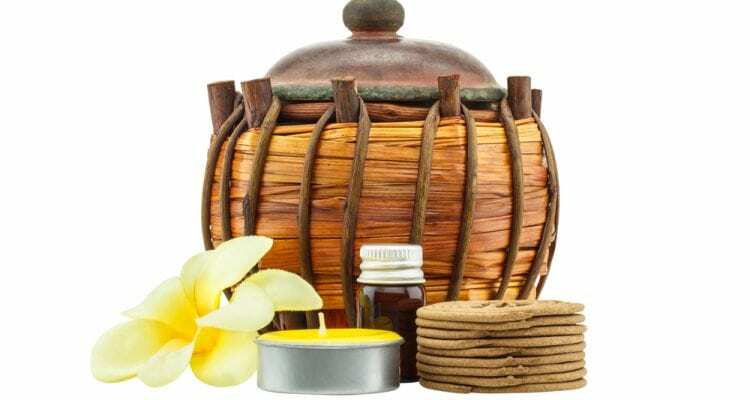 We at Ora Regnesis Spa are committed to the spa in Pune for wellness and rejuvenation of our clients. The services at Ora Regenesis Spa are aimed at providing the highest degree of purity for body, mind and soul along with utmost care and concern for a total well-being.